Repairs to aircraft fabric coverings are inevitable. Always inspect a damaged area to ensure the damage is confined to the fabric and does not involve the structure below. A technician who needs to make a fabric repair must first identify which approved data was used to install the covering that needs to be repaired. Consult the logbook where an entry and reference to manufacturer data, an STC, or a field approval possibly utilizing practices from AC 43.13-1 should be recorded. The source of approved data for the covering job is the same source of approved data used for a repair. This page discusses general information concerning repairs to polyester fabric. Thorough instructions for repairs made to cotton covered aircraft can be found in AC 43.13-1. It is the responsibility of the holder of an STC to provide maintenance instructions for the STC alteration in addition to materials specifications required to do the job. The type of repair performed depends on the extent of the damage and the process under which the fabric was installed. The size of the damaged area is often a reference for whether a patch is sufficient to do the repair or whether a new panel should be installed. Repair size may also dictate the amount of fabric-to-fabric overlap required when patching and whether finishing tapes are required over the patch. Many STC repair procedures do not require finishing tapes. Some repairs in AC 43.13-1 require the use of tape up to six inches wide. While many cotton fabric repairs involve sewing, nearly all repairs of polyester fabric are made without sewing. It is possible to apply the sewing repair techniques outlined in AC 43.13-1 to polyester fabric, but they were developed primarily for cotton and linen fabrics. STC instructions for repairs to polyester fabric are for cemented repairs which most technicians prefer as they are generally considered easier than sewn repairs. There is no compromise to the strength of the fabric with either method. Patching or replacing a section of the covering requires prepping the fabric area around the damage where new fabric is to be attached. Procedures vary widely. Dope-based covering systems tend toward stripping off all coatings to cement raw fabric to raw fabric when patching or seaming in a new panel. From this point, the coatings are reapplied and finished as in the original covering process. Some polyurethane-based coating processes require only a scuffing of the topcoat with sandpaper before adhering small patches that are then refinished. 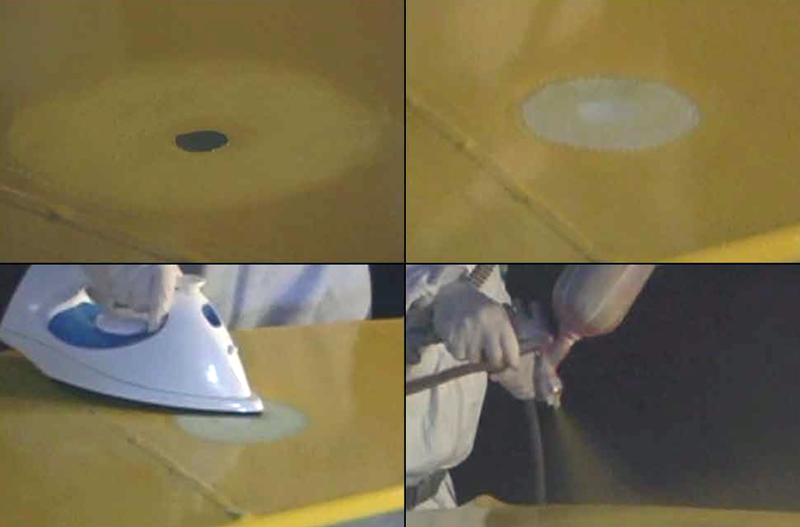 [Figure ] Still, other processes may remove the topcoats and cement a patch into the sealer or UV blocking coating. In some repair processes, preshrunk fabric is used and in others, the fabric is shrunk after it is in place. Varying techniques and temperatures for shrinking and gluing the fabric into a repair also exist. These deviations in procedures underscore the critical nature of identifying and strictly adhering to the correct instructions from the approved data for the fabric covering in need of repair. 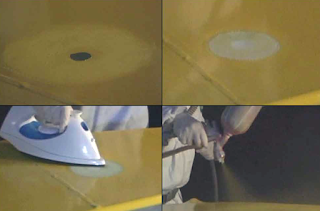 A patch or panel replacement technique for one covering system could easily create an unairworthy repair if used on fabric installed with a different covering process. Large section panel repairs use the same proprietary adhesives and techniques and are only found in the instructions for the process used to install the fabric covering. A common technique for replacing any large damaged area is to replace all of the fabric between two adjacent structural members (e.g., two ribs, two longerons, between the forward and rear spars). 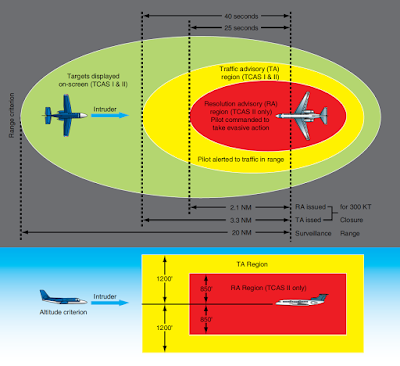 Note that this is a major repair and carries with it the requirement to file an FAA Form 337.